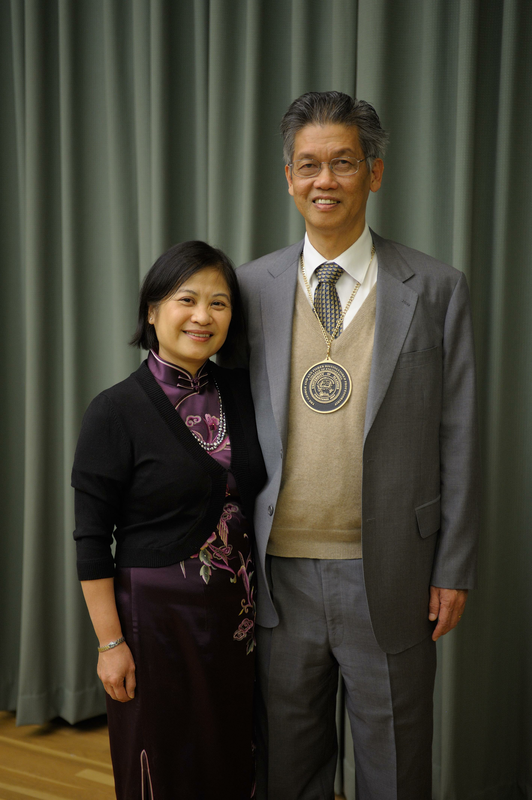 Professor Weng Cho Chew was invested as the Fisher Distinguished Professor in Engineering at a ceremony on Dec. 3. Born in a small town in Malaysia, Chew eventually earned a PhD at MIT. He has pioneered techniques to use inverse scattering to view unseen objects and model immensely complex microprocessors on parallel computing clusters. Colleagues spoke at the ceremony, praising Chew for his tenacity in approaching problems and his intellect, which never fails to make conversations an enlightening experience. Professor Weng Cho Chew was invested as the George and Ann Fisher Distinguished Professor in Engineering at a Dec. 3 ceremony on the Illinois campus. Chew joined Illinois in 1985, and served as the director of its Electromagnetics Lab from 1995 to 2007. 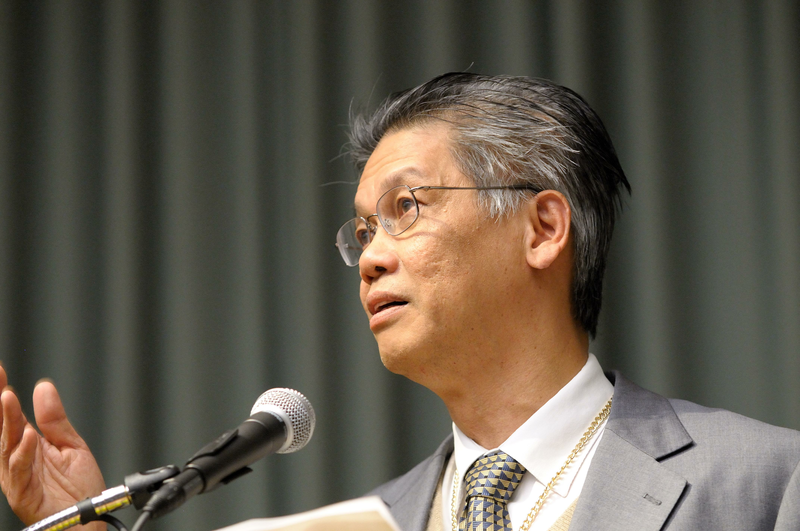 He returned to Illinois in 2011 after taking a four-year leave of absence to work as the Dean of Engineering at The University of Hong Kong. Weng Chew speaking at the investiture. At the ceremony, Chew’s colleagues emphasized not only his dedication to excellence in teaching, but also his depth and breadth of engineering knowledge and intelligence. They praised him for his unrelenting approach to questioning and solving problems, and for the sheer intellect that he brings to conversation. “When the French philosopher Voltaire asked Isaac Newton how he had discovered the law of universal gravitation, Newton's response was this famous French line, ‘En y pensant sans cesse,’ which translates to: ‘by thinking on it continually.’ Weng Chew belongs in that category of quintessential thinkers who think without cease, speculate, formulate and re-formulate until they get over every rub,” Professor Jose E Schutt-Aine said at the ceremony. Jose Schutt-Aine speaking at Chew's investiture. 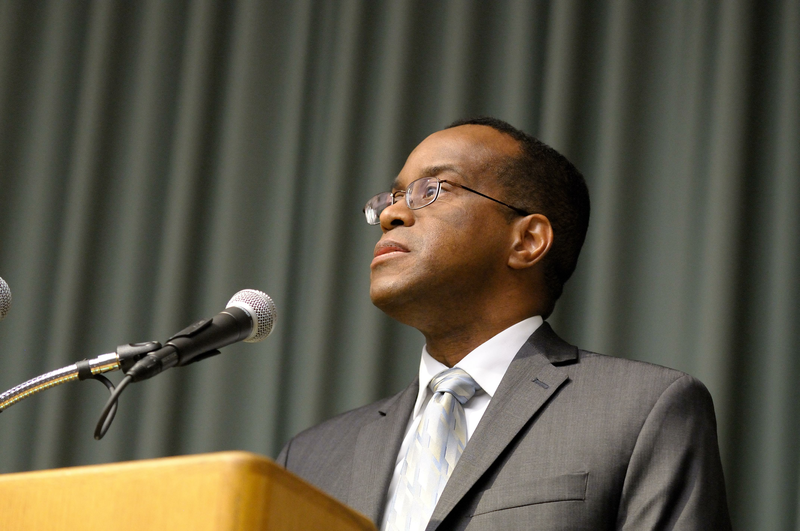 Chew is known for seeking highly complex research problems at Illinois. One of his major breakthroughs has been his work on determining the nature of objects that aren’t readily visible, like the electromagnetic properties of an object buried underground or imaging organs within the human body using inverse scattering technology. Inverse scattering is the process of retrieving information about an unseen object by recording waves that bounce off it, then analyzing those bounced patterns to reconstruct a model of the unseen object. The trouble with this technique is that it takes a huge amount of computer time to analyze all of the reflected signals. Chew pioneered a new type of algorithm to simplify the problem called the distorted Born iterative method. He combined it with other techniques to drastically reduce computer time. His method is already used in resolving electromagnetic imaging problems, and more efficient inverse scattering could eventually result in technologies like using Wi-Fi to see through walls or find oil deposits deep underground. Chew also tackled the problem of predicting modern chips’ electrical performance. Today’s microprocessors are made up of hundreds of millions of microscopic transistors and tens of kilometers of embedded wiring, and predicting how well the chip performs while taking all of these structural features into account is daunting. Chew developed a multilevel fast multiple algorithm, or MLFMA, which is now the most efficient way of solving the problem. Since this algorithm normally needed huge amounts of computing power, Chew and a team of researchers created a technique to run the algorithm over parallel computing, spreading the task out over a network of weaker and cheaper machines. His work has not only created the state-of-the-art technique for modeling hugely complex microprocessors, but also allowed the task to be done without using expensive supercomputers. Chew’s older brother, Y.T. Chew, who Weng Chew credited with nourishing his burgeoning scientific curiosity, attended the investiture. So did Brian Johnston, Chew’s high school physics teacher, who taught Chew while serving in the Peace Corps in Malaysia in the early 1970s and recommended him to study at MIT. Others included Chew Chin Phua, his wife of 37 years, who grew up with him on the same street in Malaysia and studied at MIT with him, and Pabitra Sen, his mentor at Schlumberger-Doll research. Weng Chew and his wife Chew Chin Phua. “We have walked along the same path together for a while now,” Chew said of his wife at the ceremony. During his comments, Chew recounted growing up in a town of 30,000 in Malaysia, on the far reaches of the former British Empire. Though the schools held prestigious by most were the academic powerhouses of Britain, namely Oxford and Cambridge, Johnston persuaded Chew to come to America instead. Chew earned his undergraduate, master’s degree, and PhD from MIT and started work in 1981 as a researcher and then a manager at Schlumberger-Doll research, where he stayed four years. However, he soon realized though working in industry was profitable, it was not his calling. He packed his bags and joined ECE ILLINOIS’ faculty in 1985.